This week is Enviroweek, an initiative started by Cool Australia as a means to challenge young people to take positive everyday action for a more sustainable Australia. I am a young person, who over the last five years has made a career out of competitive big mountain skiing. I thrive on winter, snow and anything that leads me towards an adventure with my skis on. I’ve skied since I was two years old. I had the privilege of being a part of a family who loved to ski and could support my siblings and I while we pursued a passion that so far has spanned my entire lifetime. As they say, knowledge is power, and through my travels and spending time in the mountains I have picked up a fair bit of knowledge, which I now feel responsible to share in the hopes of influencing change. The scientific evidence is irrefutable. Anthropogenic (as a result of humans) climate change is real and it’s affecting the world in many more ways than one. Due to the increase in carbon emissions in the atmosphere, which has been propelled at exponential rates thanks to humanity’s thirst for growth, the average global temperature is on the rise and does not look like it will be stopping anytime soon. James Hansen, former director of the NASA Goddard Institute for Space studies equates the amount of man-made global warming pollution as now equivalent to exploding 400,000 Hiroshima atomic bombs per day, 365 days per year. Climate scientists use ice core samples from arctic regions to analyse the relationship between levels of carbon emissions in the atmosphere and global temperatures. Through the process of years of painstakingly thorough research, they have found that these two elements have naturally moved together to balance the world’s climate; sometimes the carbon emissions in the atmosphere will increase, which will be followed by the rise of global temperatures. Other times, global temperatures will recede, and that is then accompanied by a reduction in carbon concentration in the atmosphere. In short, the two are interlinked and follow each other like sheep. Over the last five hundred years, the carbon in our atmosphere has been rising at an exponential rate (see chart below). As the CO2 in our atmosphere increases, so will the temperature. Rising global temperatures have already been attributed to devastating effects on the world’s environment. Events like: the melting of the polar ice caps, causing global sea level rise; an increase in the ocean’s temperature, which in turn can produce extreme weather events such as super hurricanes, heat waves that lead to extreme bushfire conditions, and even winter ‘mega storms’. Globally, average snowfall is declining and mountain glaciers are melting. The European Alps are warming three times faster than the global average and have lost half of their glacial ice in the last century (20% since the 1980s). The Mer de Glace, located in the heart of the Mont-Blanc Massif and the longest glacier in France, has thinned by 180m and receded 2.5km up the valley floor. After skiing down the Vallée Blanche and onto the Mer de Glace, it is now necessary to walk for five to ten minutes up steep stairs to reach the small lift that takes you back up to the passenger train that takes tourists up and down the valley, the physical absence of the glacier that used to be there is haunting. In New Zealand last week, I was on a transport flight from the Franz Josef glacier to the bottom of the Fox Glacier. I was told that both glaciers were retreating rapidly, but it was only when the heli pilot pointed out the distance that the glacier had retreated in the last month, I was astounded – it was over the length of a rugby pitch. What does this mean for the Southern Hemisphere? In Australia this year, we were hit with a flotilla of ‘mega storms’ that put 2014 on the map as one of the most epic starts to winter in recent memory. However, when you look at the data of past and predicted seasons it becomes less of an exciting story. Since 1988, Victoria has been losing an average of 23cm per decade off the maximum average snow depth. There has also been a significant reduction in the number of days with more than 1cm snowfall. According to a CSIRO report, Australian Alpine areas with at least 60 days of cover are predicted to shrink 18-60% by 2020, and 38-96% by 2050. The slopes of New Zealand tell a slightly different story based around individual ski areas, their location and elevation. However, on average, at nearly all elevation levels, there will be a gradual decrease in snow (including duration, and mean maximum snow accumulation) as the century progresses. (for more info: click here). To put it bluntly, even if we cut global emissions, the lower elevations of ski resorts and backcountry areas in Australia and New Zealand are in trouble. We’re already beginning to see the consequences. This year, major resorts in Australia and New Zealand both had a freezing level that rose above 2000m in the middle of winter. In New Zealand this led to over five resorts in both the Canterbury and Southern Lakes region delayed for opening. 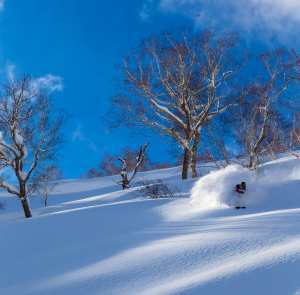 While us snow lovers were devastated as we couldn’t ski – the industry was even more so. Delayed openings affects all aspects of the ski industry from local retailers and tourist operators to resorts and travel companies, money is lost and local jobs are threatened. 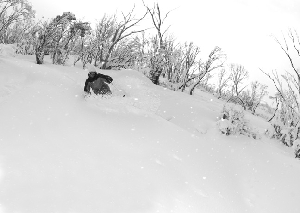 Australia’s ski industry is worth $1.8 billion dollars and employs over 18,000 people. 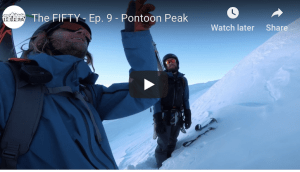 In Australia, we already have an inconsistent and precarious ski season – what will happen as the mercury rises? Internationally, the industry is looking at new technology and various forms of ‘adaptation’ to fight the issue. 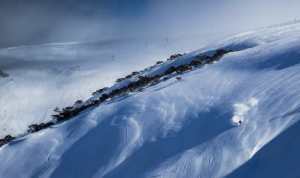 In both Australia and New Zealand, decreasing snowfall – especially at lower elevations – will enforce a major reliance on snowmaking. For example, Australian resorts will be up to 200 times more reliant on snowmaking by 2020, therefore increasing the cost of any snow experience significantly. 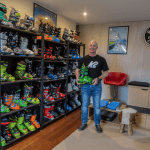 And yet, the current climate and snowfall models have been meet with a sigh of relief by Ski Areas Association of New Zealand, whose executive director Miles Davison says they are “quite optimistic about these results” as they are navigable by use of new snowmaking technology. In other words, they think they’ll be able to continue making snow and keep resorts open. However, in my opinion, investing primarily in ‘adaptation’ just makes it seem as if the snow industry is already throwing in the towel. While adapting and preparing resorts is important, I believe that reducing the industries carbon footprint should be as high on the menu as new snowmaking technology and adaptation solutions. Reliance on snowmaking will make winter sports even more expensive and inaccessible to the broader public. What is more, if carbon emissions continue to be produced at current rates, losing our ski hills will be our least of our worries. It is here that we begin to find ourselves balancing on a double-edged sword. Ironically, it is we, lovers of snow who are killing winter. We ski at resorts that are usually powered by fossil fuels, we jump on planes to make our powder dreams come true and we buy unsustainably produced gear and goods to power our habit, and I haven’t even breached the topic of heli-skiing. I believe that the first step forward, like with any issue, is to admit that there is a problem and for the industry as a whole to take responsibility. Snow sports brands, resorts, tourism operators and local communities need to start setting an example for the rest of the world and speak out about how our style of living is not only killing winter but also doing irreversible damage to the natural systems that keep our living environment in check. As individuals our vote counts, most decisions made in big business and especially in tourism is to attract consumers and keep them happy. If we, the consumers of snow gear, international transport and snow holidays demand and show support for sustainable options, it will only make them better quality, cheaper and overall the better option. Just like renewable energy, the more people who switch to it, the cheaper that it will become. Transfer Magazine published a great article on consumer choice in snowboarding this week. Unfortunately, the major decisions are out of our hands and are made in what feels like a far and distant place called government. I think that actress Emma Thompson did a great job of addressing this issue in a recent interview with the The Guardian titled, “Tony Abbott climate change is real, I’m standing on it!”. So what we can we do? In my opinion, we need to start discussing this issue more. We need to stop letting it become the pink elephant in the room that we either don’t acknowledge or stare at for a few seconds and then try to forget about. We need to get creative and be original. Go green, invest in sustainable options, start new initiatives that highlight the problems in our communities and most importantly let our governments know that we are sick of our reliance on fossil fuels. It’s the time of the individual to make the choice to live more sustainably and show our government where our values lie. As for me, I stay optimistic. As a competitive skier, it’s hard to live a sustainable lifestyle, as there are some things, such as air travel and hardwear that I rely on. Working to change this is a challenge I face everyday but nothing comes out of inaction. When I am old, I want to be able to say that I didn’t simply sit around and wait for someone else to fix the problem. Whether it is choosing to travel less and keep air travel to a minimum, living slowly and trying to stay in one place for longer or reducing and recycling the products I use to make my trade possible – I believe it all counts.